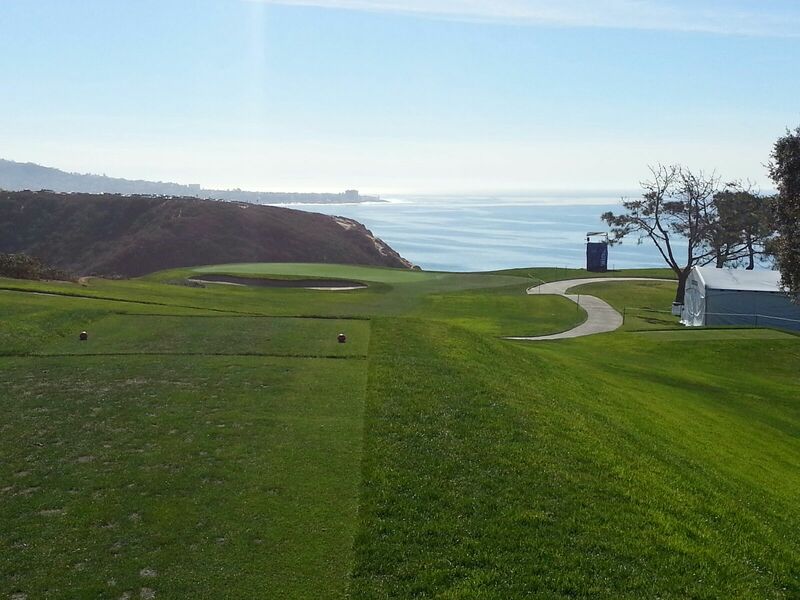 Yesterday brought me a unique opportunity to caddy at the Sycuan Pro-Am at Torrey Pines. 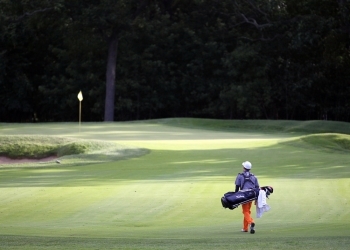 The golf course is in fantastic condition and will be a challenge for the PGA tour professionals this week. I played the North Course 2 years ago on the Monday following the tournament and it was one of the most challenging courses I have ever played. The South Course this week will be a true test. Rough is pushing three inches and I’m sure by the weekend it will be even higher. The greens were the true challenge, I have never seen greens this firm and fast. On multiple occasions our players hit uphill putts that came back to them and wouldn’t stop neat the hole. Pin positions will dictate the tournament and players who can keep the ball in the fairway and make a few putts will have a chance to win. Great day out on the course and gave me a unique and up close view of a great golf course.